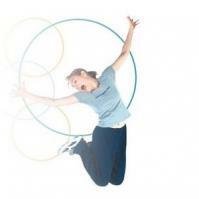 Rebounding is a great exercise that reduces body fat ... It also firms legs, thighs, abdomen, arms, and hips. Rebounding increases agility; improves sense of balance; strengthens muscles over all; provides an aerobic effect for the heart. It rejuvenates the body when it's tired, and generally puts one in a state of health and fitness. 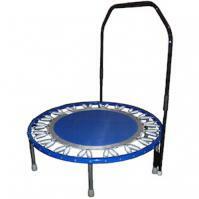 Rebound on a Needak rebounder with the soft bounce springs to get a great, fun workout. Tony Robbins, international lecturer, advisor to world leaders, and author of Unlimited Power ... calls rebounding "one of the best all-weather aerobic exercises." He points out that it "strengthens every organ in the body," and suggests that readers "please take the time to pursue this life-enhancing form of exercise." USA Made Needak Rebounders are the best in the world. * Real people support before AND after the sale. * Solid and stable rebounding platform with 6 legs since 1990. * Frame components securely attached with a high tech welding process. * Spring loaded legs that fold down for ease of storage. * Industrial strength permatron fabric mat for durability and long life. * Lifetime frame warranty - 5 year mat warranty - 2 year component warranty. * Optional stabilizing bar for beginners, seniors or people with infirmities. 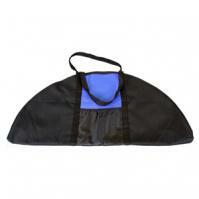 * Optional carry bag for folding rebounder for those on the go. Up to 5 Bonus items included ! * A free DVD “Immune System” by Albert Carter. * A free DVD "Bounce Before You Jump" by Linda Brooks. * "Jumping For Health" by Dr. Morton Walker reprint from The Townsend Letter for Doctors. Question: What is the difference between the Needak® rebounder and others? Answer: Needak® is a manufacturer of rebounders -- and rebounders are the ONLY thing we manufacture. Models available through discount stores or marketing/promotion companies are imported. We have control over all aspects of production -- they get the most inexpensive model they can (Generally quality is not an issue with marketers, only price). Needak® insists on producing the highest quality rebounder. 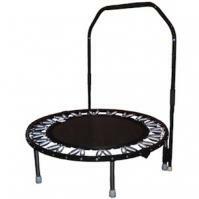 Our price may be a few dollars more, but you get a rebounder that will provide many years of service and is more gentle on your body. If it doesn't have the Needak label on it, you can be almost 100% certain it is an Asian import. Question: Is your rebounder design outdated? Answer: Needak® offers a solid, time tested design. For instance, our hinge design is virtually indestructible. It costs us more to build it, but we know it will provide years of service and establishes a solid and stable rebounding platform. Question: Why is your rebounder "round" instead of some other shape? Answer: The round design is the best because it places even stress force upon all components. As you rebound, the same force is applied to the mat, springs, and frame in front of you, behind you, and on either side of you. Any design which places springs in a corner, those springs to absorb unequal impact and they tend to break more frequently than the springs along the straight sides which do not flex as much. Question: Why is your Soft-bounce spring better than other types of springs for rebounding? Answer: Needak® Mfg. innovated the Soft-Bounce™ spring which absorbs as much as 85% of the impact of each bounce. This is due to the unique barrel shape of the spring. The diameter of the coils increases as you move toward the center of the spring. There are generally 2 types of springs found on imported rebounders. 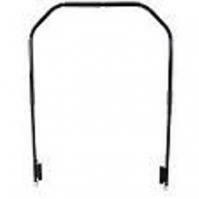 The classic spring found on low-end imported rebounders is a shorter spring and tends to be very stiff. A few imports use a spring that looks like our Soft-Bounce™ spring. Fact: Springs will break. Common sense tells you that if you flex metal, it will eventually break. We do not make exaggerated or unfounded claims about our springs. It would surprise you how many people come to us for springs and relate stories of dissatisfaction with marketing companies who told them things such as, "Our springs never break, that is why we don't carry them in stock." or "You obviously misused your rebounder to cause breakage." If you leave a rebounder in the closet and never use it, you won't break springs. If you get the benefits out of a rebounder, spring replacement is an inexpensive maintenance item. Question: What is the new Hard-Bounce Spring? Answer: Needak® proudly introduced the Hard-Bounce spring in February, 2008 as a response to the problems found in the classic rebounder spring. Customers who are over 300 pounds cannot generally use the Soft-bounce spring because it stretches enough to allow them to touch the floor as they bounce. For years they have been forced into the "Classic" rebounder spring which was of shorter length and did not allow this to happen. Unfortunately it was also very stiff and would allow some jarring to the joints as they bounced. This stiffness also cause premature spring failure. The new Hard-bounce spring is styled after the Soft-bounce, but only absorbs 35% of the bounce giving more support to heavier users and professional athletes. It has a considerably longer life and is interchangeable in length with our Soft-bounce spring. Question: Is there any assembly required? Answer: The folding rebounder come delivered folded in half if it's a folding rebounder. You would have to open it and then seat the legs on the platform pin and then it's ready to use. On the non fold, just seat the legs on the platform pin. If the customer also orders the stabilizer bar they would also need to attach it before use. The leg tips would be already removed on 2 of the legs of the rebounder. The customer would need to slide the legs of the bar onto those legs of the rebounder and then put the legs tips back on. Question: Is the folder rebounder as strong as the non folding rebounder? Answer: The folding rebounder is just as stable as the nonfold. They both have the lifetime of the purchaser warranty. It is only for the convenience of the customer who might not have a lot of space or someone who wanted to take it along with them on trips. 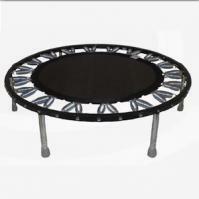 "This website is owned and operated by an Authorized Retailer of Needak® rebounders. Needak® Manufacturing shares no ownership interest in this website and has no responsibility or control over content, opinions, or healthcare advice presented or any financial or personal data collected through this website. Needak® is a registered Trademark of Needak® Manufacturing, LLC O'Neill, NE USA." Why is the spring cover an optional accessory? The true purpose of the "spring cover" is to deflect your foot away from the bullhorn of the mat cleat. For many years, all rebounders used a bullhorn style cleat which had a metal end that protruded between the spring sets. The metal "horn" was used to keep the cleat from sliding out from the fabric tabs. You still see this sort of cleat on cheap Asian imports. The bullhorn allows the mat to be produce cheaply as it does not need to be precisely positioned. Production speed can be increased significantly due to this sloppy mat construction . Needak uses a safety cleat which is enclosed by the fabric tab. There are no metal protrusions and therefore no need for the spring cover. 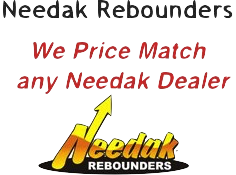 Needak, the only rebounder proudly made in the USA!